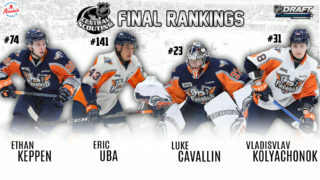 Flint, Mich. – The Flint Firebirds return home to the Dort Federal Event Center this Wednesday night when the club hosts their in-state rival Saginaw Spirit. Puck drop is set for 7 p.m. (ET) for the first game this season of the I-75 Divide Cup, presented by Coors Light. The game marks the first ‘Winning Wednesday’ game this season. The Firebirds are offering amazing deals for all Wednesday home games, featuring $2 Beers, $2 Hot Dogs and $2 Pop Corn. 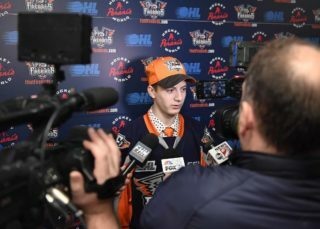 Additionally, every fan in attendance will receive a ‘Winning Scratch Card’ with multiple different prizes featuring a grand prize winner that has the ability to pick between a 40-inch smart TV, an Xbox One, a Chromebook, a Firebirds’ team signed jersey, or a Firebirds suite. Also, every time the Firebirds win at home on a Wednesday, each fan in attendance will receive a free ticket to the next Wednesday home game. 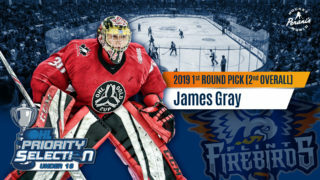 10 players between both Flint and Saginaw’s active rosters have NHL ties consisting of the Firebirds’ Dennis Busby (Arizona Coyotes), Ty Dellandrea (Dallas Stars) and Fedor Gordeev (Toronto Maple Leafs) including the Spirits’ Brady Gilmour (Detroit Red Wings), Damien Giroux (Minnesota Wild), Blade Jenkins (New York Islanders), Ivan Prosvetov (Arizona Coyotes), Reilly Webb (Detroit Red Wings) and Bode Wild (New York Islanders).